When Brian Matthew first broadcast in 1948, a quarter of UK homes had no electricity and there was but one TV channel. This was the World into which Brian Matthew's radio career was born. He was to become one of the BBC radio's longest serving on-air personalities. Brian's early broadcasts beamed out on Forces radio from a converted Hamburg opera house, during his service overseas. RADA later beckoned, from which he built the acting foundation so typical of his generation of radio performers. It was likely there that the trademark booming Matthew voice was really born. On demob, a chance meeting meant him marching into HMV on Oxford street to record a demo, which resulted in two years in Hilversum, broadcasting from the Netherlands to the World. Returning to his parents' house in Coventry, he seized the jobs he could, including, famously, six months as a milkman. 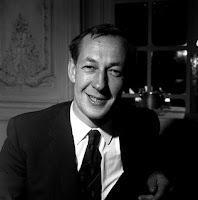 When the BBC took up his offer of a programme on Dutch Jazz, much to the surprise of his colleagues at the dairy, the Corporation courtship began which was to define his life. Brian joined the BBC properly in 1954, as a trainee announcer earning less than £20 a week. His reputation grew on hosting 'Saturday Skiffle club' from 1957 on the Light Programme, later called 'Saturday Club', and 'Easy Beat'. The songs he played fondly in recent years were once the brave new ones he introduced to the nation at the very birth of rock 'n' roll. 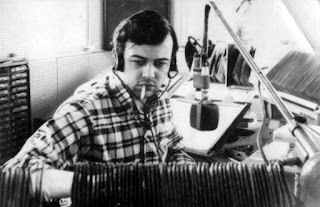 For a generation of youngsters in drainpipe trousers and pedal-pushers, impatient for the BBC to wake up, Brian’s programmes became an oasis, and an appointment to listen in this pre-pirate era. The early shows relied heavily on live performances of "disc stars you've requested", thanks to the needle-time restrictions which severely limited the ability to play the actual hit records. Necessity became the mother of invention, however, as Brian unwittingly built what has turned out to be a rich pop archive. He got to know the performers too, with artists always remembering the show which gave them their break – and its presenter’s enthusiasm. At Epstein’s invitation, he famously spent a week with the Beatles in America. “Can you disclose any secrets about this LP? Have you introduced any unusual musical instruments this time?” May 2nd 1966, Brian Matthew talks to the Beatles on their new album, Revolver. 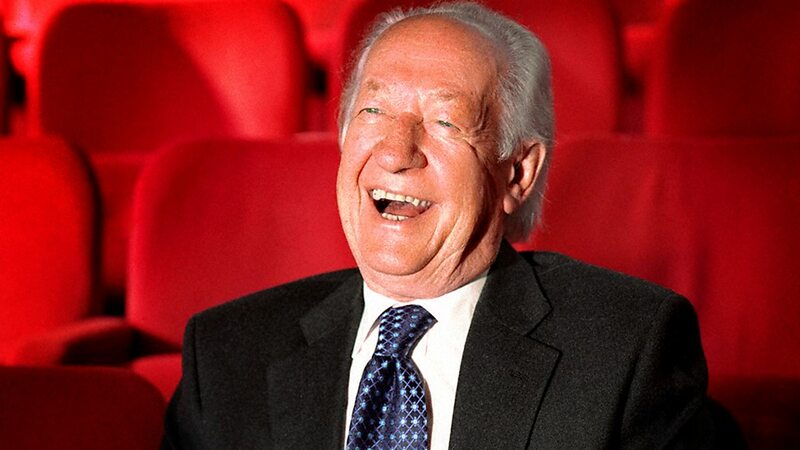 Ironically, as the BBC woke up to youth and launched Radio 1, Brian was cast to one side. He always recalled the conversation: “I went to see this chap and I said 'Are you really telling me I have no future in radio?' and he said 'Well yes, I think I am". Undeterred, Brian persuaded his way back onto the schedule, inch by inch, and in 1973, the Controller of Radio 1, Derek Chinnery, called upon him to host My Top 12, in which guest musicians played their all-time favourite tracks. Matthew & Son, the Cat Stevens melody, just had to emerge as one of his sig tunes, and it surely did, when he took over the famous late night magazine 'Round Midnight', from January 1978 to 1990. His yacht carried the same name as this high quality yet accessible programme which drew on his love of theatre. Brian's diligent approach meant daytimes filled with reading, visiting galleries, interviewing actors and listening to music. Relief presenters quickly discovered his level of commitment. For over a quarter of a century, from April 1990, he hosted 'Sounds of the ‘60s' on Radio 2, taking over from Keith Fordyce. This Saturday morning custom attracted significant and sustained audiences, quite a feat for a programme which even dared to play less well known 'discs', as Brian called them. His knowledge sold in the more unusual tracks and lent new interest to old favourites. It's little wonder his loyal followers, the ‘avids', listened avidly. 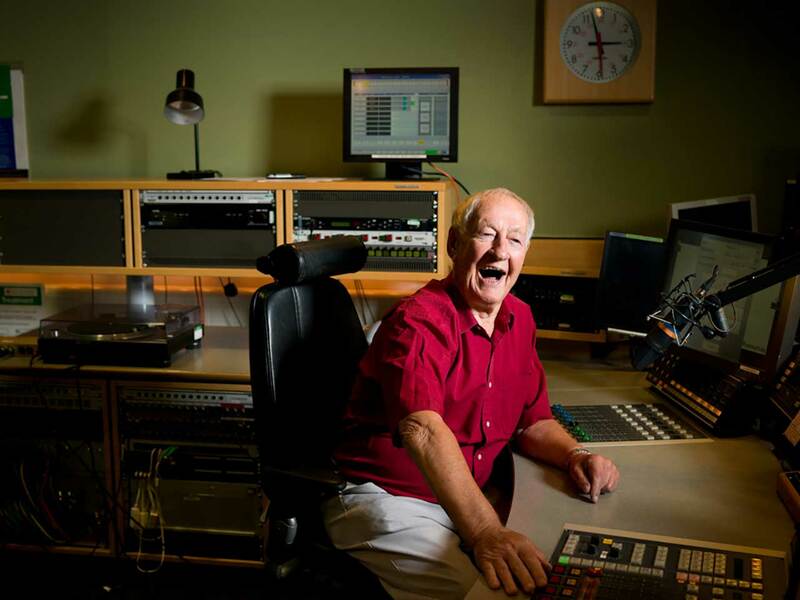 Brian's last regular programme was aired on Radio 2 in November 2016, before he was rested through illness. He returned for a valedictory performance in February 2017. With more than sixty years on air, few broadcasters have had, or will ever have, a career of the longevity of Sony Gold-winning Brian Matthew. He helped Britain come to terms with its music explosion and helped it to remember its past. His distinctive voice and informed yet intimate presentation style attracted significant audiences to the end. He was truly the last of a generation. Strange !!!!! Radio Luxembourg has again been'airbrushed'out. I worked on his programmes on 208, usually Studio A. He never really like his Luxy shows but it paid the bills. Offshore radio from 1964 was a direct challenge to the BBC and promoted many new artists we would never have been heard on the BBC with its needle time restrictions. Brian represented the younger generation on the BBC even though he was not as young as most of the pirate presenters. Brian was a true legend. Hello David. Interested in your references to his time in Holland. ​I am referring to this page. in the profiles the BBC ran last year of ​​Brian Matthew. I was the programme director at Radio Netherlands in the 1990’s and discovered the recordings he referred to. Used them in a documentary which is now online in the public domain. May be it is of interest or can be added to the archives. the clip of Brian is about 20 minutes in to the documentary. Fascinating piece about the late Mr Matthews - and some grand audio clips. Cheers! Goodbye from BBC Local Radio?